It was last Halloween when I fell in love with Eighteen25. They put together a Spookfest and all of the amazing guests shared some of the funnest Halloween ideas of the year. Well they are at it again this year, and their first guest is Jen from Tatertots & Jello. 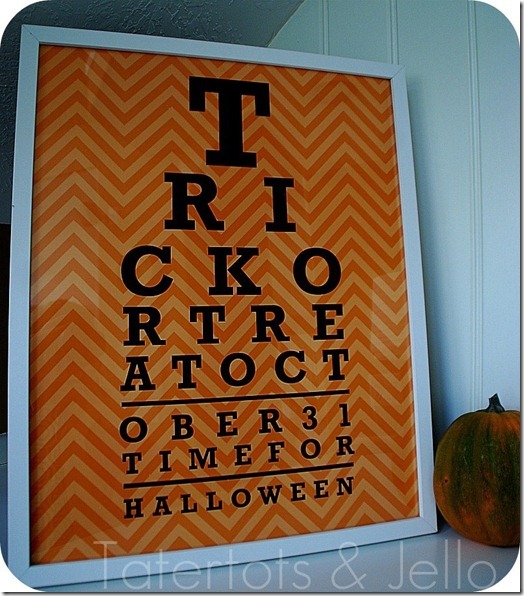 Ironically I fell in love with Jen's blog because of Halloween decorations too, but a couple Halloweens ago. 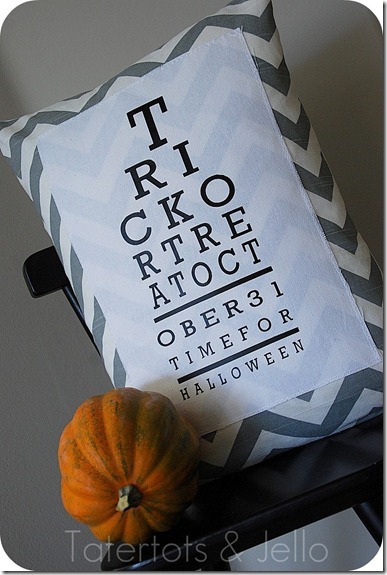 This year she has started of her Halloween crafting with this cute eye chart pillow. She shares her tutorial HERE, but because Jen loves those of us that can't sew, she made a couple of really cute printables.